Marrakech could be defined as vibrant, fascinating, sophisticated, multifaceted with great combination of traditional and modern lifestyles. This city has so much to offer with a great balance: strong exoticism, fascinating experience in the hustle and bustle of the city, exhilarating adventure in the majestic High Atlas Mountains, stunning scenery &amp; contrasts, bespoke feast under the stars, fantastic venues &amp; sites, full array of exciting optional activities, a great mix of palatial, trendy, and unusual venues. The red walls of the city, and various buildings constructed in red sandstone, have given the city the nickname of the “Red City” or “Ochre City”. Marrakech is also a very safe destination with an ancient tradition of hospitality, so guests feel secure and very welcome by some of the friendliest people in the world. The “Red City“ is also offering a beautiful weather all year round. 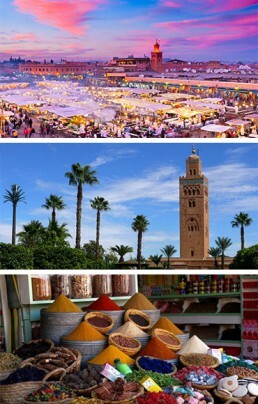 Marrakech is the fourth largest city in Morocco and the one who gave his name to the country. 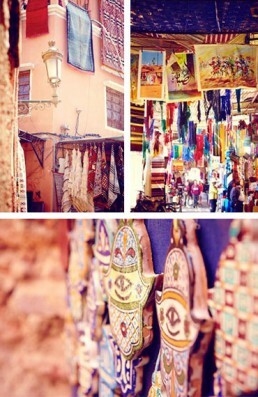 Situated at the bottom of the Atlas Mountains, in the inland regions, Marrakech is known for his historical nature. In particular the “Medina” which is characterised by its red sandstone buildings giving the name of “Red city” to Marrakech. The city is one of the busiest cities in Africa and serves as a major economic centre and tourist destination. 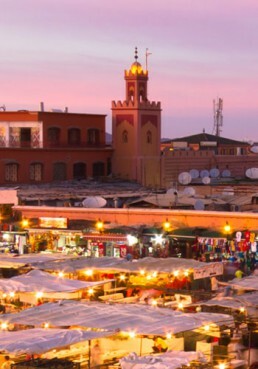 Located in the heart of the Medina, the “Jemaa el-Fna” has served as Marrakech’s main market square since its foundation in the 11th century. Its name means “assembly of the dead” as around 1050 AD this place was the site of public executions. Today the market is a lively hub for culture, trade and social life. 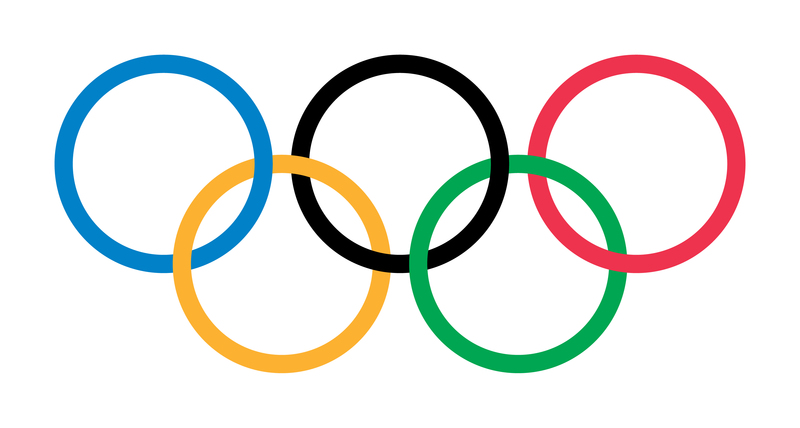 It is a source of entertainment with an open-air stage that enables the local community as well as tourists to enjoy musical, religious and theatrical performances. On the other side a traditional North African market, also called Souk, sells typical products such as spices, carpets and ornaments. All day the market is animated by artists and entertainers offerings different services such as henna tattooing and storytelling. Having a multi-function of public place, market and theatre, the “Jemaa el-Fna” is a place gathering both ancient and new Moroccan cultural traditions. In 2001, UNESCO declared the site a “Masterpiece of World Heritage”, which has helped the market continue to grow despite the modernisation. The Jardin Majorelle in Marrakech is one of the most visited sites in Morocco. Created by Jacques Majorelle in 1931, this touristic botanical garden is composed of 300 varieties of exotic flowers and rare plants spread in one hectare with a long pool in the middle. In 1937 the artist creates the “Bleu Majorelle”, a shade of blue cobalt used to paint his villa’s walls. In 1942 the garden becomes public and several years later, Yves Saint Laurent and Pierre Bergé acquires the property. In love with this garden, the couple lived for many years in the property and made renovations to make this place even more beautiful. After Yves Saint Laurent died in 2008 his ashes were scattered in the Majorelle Garden. 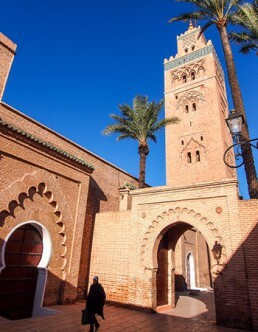 Nowadays, the garden houses the Islamic Art Museum of Marrakech. 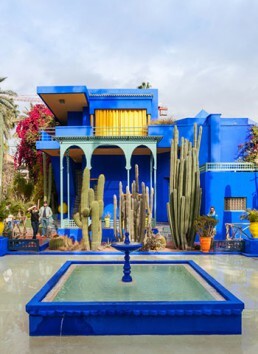 Tourists can discover different collections including Majorelle’s painting, North African textiles created by Yves Saint Laurent, ceramics and jewellery. The Bahia Palace, a masterpiece of the Moroccan architecture and cultural heritage, was erected in the 19th Century. Located in the medina of Marrakech, it was built in two stages: the first part of the palace called Dar Si Moussa was created for grand vizier Si Moussa and then the second part was led by the son, Grand Vizier of Sultan Moulay Abd al- Aziz. Due to this, the plan is irregular and there are no continuous axes. Moussa is only a small part of the entire Bahia Palace complex, however, it is remarkable for its refined decoration: a combination of ceramic tile surrounded by a lush garden. This decoration offers a charming pastoral ambiance. To surpass his father, Ba Ahmed decided to enlist architect Muhammad bin al Makki a renowned architect who previously worked in Andalusia. Decorative motifs, materials and arabesques can be seen in the craftsmanship of the decoration of the palace. Because of the perpetual addition in the palace structure, the creation of the palace is complex with an irregular outline. The remarkable element of the Bahia palace is the large marble courtyard, built between 1896 and 1897. Materials for decorating the Bahia Palace came from North Africa, Italy and Spain. Right after the death of Dar Si Moussa, Sultan Moulay Adb al Aziz lead the search to the Bahia Palace to collect its magnificent furniture and material. Unfortunately, some parts were lost during this incursion. However, the Bahia Palace has been well maintained over the last century by the Moroccan government and is currently used to receive foreign dignitaries. A part of the palace is occupied by the Moroccan Ministry of Cultural Affairs. The 13.000 hectares of palm grove of Marrakech, created during the reign of Sultan Almoravide Youssef Ben Tachefine, are principally seed with 100.000 palms. Vegetables garden and date production can also be admired. The palm grove can be visited by carriage, to discover this wild nature where many villas are hidden. The road inside the palm tree guides the visit. But it can only be done through the marked trail, in order to preserve the natural site. 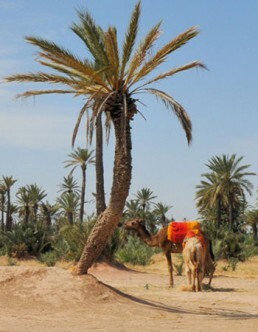 The palm grove was created by the Almoradives dynasty, when the family penetrated the city of Marrakech. Back then, some of the palm tree species were venerated as a symbol of Life and Fertility. Cultures were numerous and the density of trees allowed to protect from warm. Marrakech and the palm grove offer an idyllic setting where many celebrities joined all year long. A dream place, far from the crowed city of Marrakech to enjoy a pouf of oxygen. The Koutoubia Mosque is a religious building of the 12th century started under the dynasty of the Almoravids’ Berber and reworked under caliph Almohade Abu Yusuf Yaqub al-Mansur. The building is T-shaped and has a large yard surrounded by a portico and a prayer hall with columns. This is perpendicular to the Qibla wall, towards which the faithful must turn to perform the ritual of salat. The Mosque is composed also by the Mihrab, an arcade with two columns in the middle of the Qibla wall and the Minaret, a tower of 69 m. The building has the largest prayer hall of the Muslim West that can accommodate up to twenty thousand faithful. The mosque sheltered until 1962 a magnificent minbar, considered as one of the jewels of the Spanish-Moorish art in the matter of woodcarving and marquetry.